Social workers help people in need in a variety of settings, including health, mental health, schools, residential settings, child welfare, and other government and private programs. The employment outlook for social work graduates is very strong, with higher than average projected growth in available jobs through 2024. The Department of Social Work & Youth Services offers the Bachelor of Social Work (BSW) degree to prepare students for generalist practice. BSW graduates are eligible for licensure (LBSW) in the state of Michigan. The department also offers a minor in Youth Services, and certificate programs in Child Welfare and Juvenile Delinquency. The Master of Social Work (MSW) degree is required for advanced clinical practice, and is in high demand for regional employers seeking social work professionals who can work with clients and provide leadership in the agency and community. 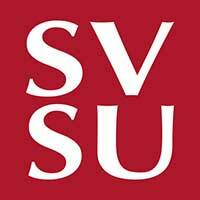 The MSW at SVSU is in Candidacy for accreditation. Graduates from our program will be eligible for LMSW-Clinical and LMSW-Macro licensure in Michigan. SVSU students address the needs of local and global communities through the integration of meaningful service and traditional instruction that incorporates reflection and critical thinking to enrich the learning experience.